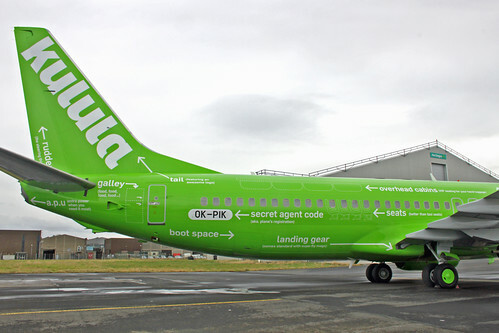 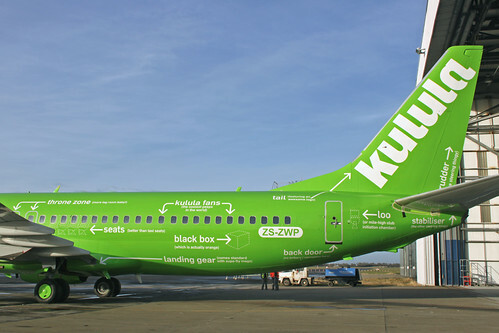 South African low-fare airline kulula.com recently came up with a brand-new, funny livery. 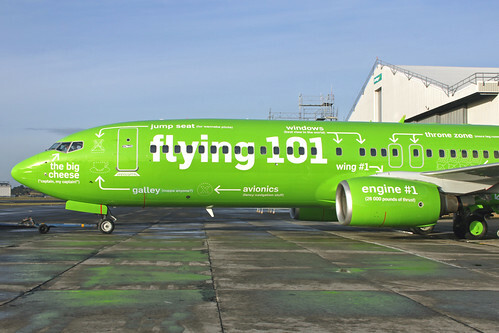 One of their Boeing 737-86N (ZS-ZWP / OK-PIK), called “Flying 101″ is entirely covered with details and funny remarks about the plane. 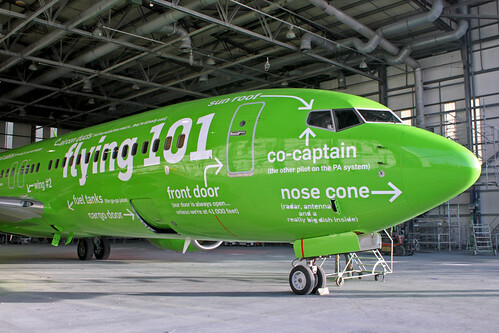 The captain’s window is marked with the big cheese (”captain, my captain!”), the co-pilot’s window with co-captain (the other pilot on the PA system) and the jump seat is for wannabe pilots.